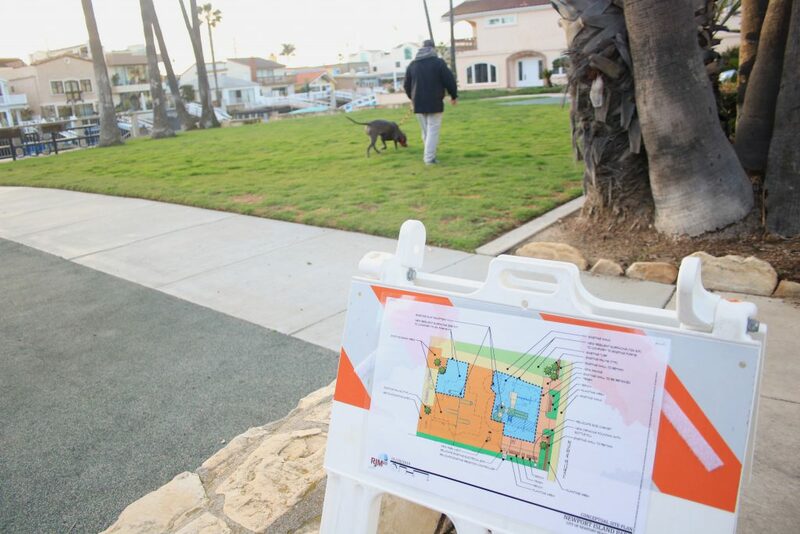 A resident and his dog walk through Newport Island Park in front of one of the rehabilitation design concepts the city is considering is posted at the entrance. 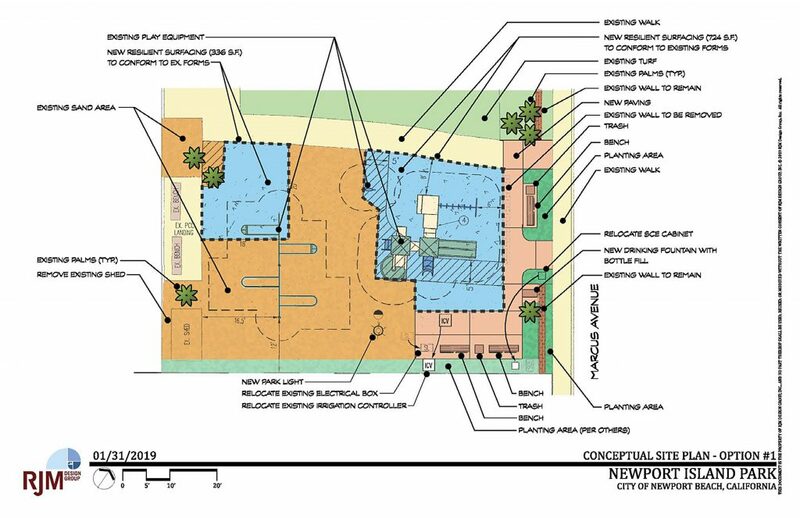 Renovation of a small, local park in West Newport that sparked a debate of sand versus rubberized mat around a kid’s play area, is moving forward following a vote this week, with sand coming out on top. The Parks, Beaches, and Recreation Commission unanimously approved a concept design that essentially keeps the current sand and rubberized mat footprint, but will remove the existing sand and replace it with new, clean sand, a plan that is seemingly acceptable by all. Staff presented two design concepts Tuesday: Option one (ultimately, the approved project) for $285,000 included keeping the same layout, but putting in new sand and mat; and option two for $359,000 included replacing all the sand around the play equipment area with a rubberized mat surface. The discussion of sand versus rubber mat began following concerns raised by locals, primarily centered around health issues, about the use of sand in the play area. The PB&R Commission voted 7-0 on Feb. 5 to continue the rehabilitation of the park until a future meeting so staff could gather more community input. A survey was mailed out to 150 residents and city staff received 80 responses, 49 votes for option one and 31 votes for option two. 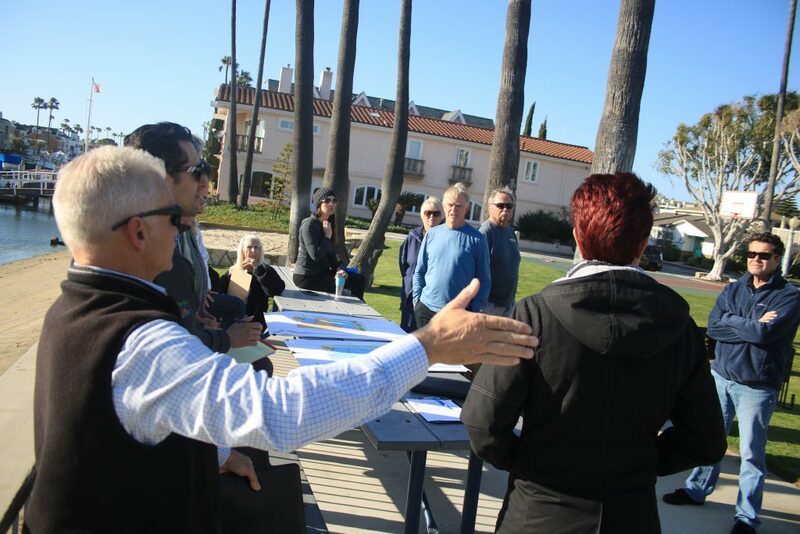 At a community meeting on March 13, held at the park, about a dozen locals voiced their opinion, most in favor of the sand. Assistant City Engineer Mike Sinacori talks about possible improvements for Newport Island Park during a community meeting on March 13 at the park, while longtime local Jim Miller (center) and other residents listen and pitch in with ideas and concerns. They got a “pretty strong” indication from community about what they wanted, Assistant City Engineer Mike Sinacori said in a phone interview this week. 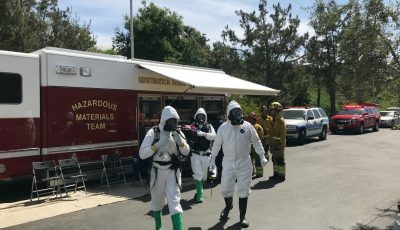 The sand is inspected and cleaned several times a week, by both outside contractors and city staff, explained Sinacori, who has been following up on the cleaning reports since the topic was raised in February. They haven’t found any evidence of any problems, he added. 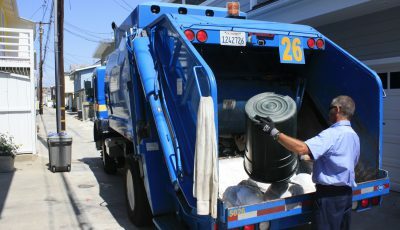 The city also started using a new sand sifter to clean and remove any debris. A majority of residents also commented that they wanted to keep the shed, but in a different location in the park, which the Commission also approved. It will be rebuilt, but slightly smaller and turned sideways, Sinacori confirmed. 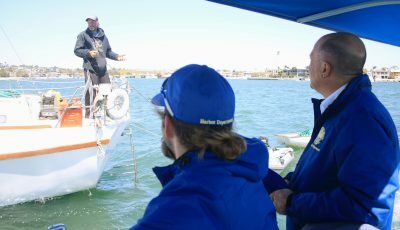 The new positioning will open up the waterfront view and provide better access to the shed. Staff will finalize the design and put it out to bid, aiming to award a contract by summer, Sinacori explained. They hope to start construction in fall. The community requested changing out the sand sooner rather than later, so staff is looking into that, Sinacori noted. Longtime resident Jim Miller, who was one of the first locals to speak out about his concerns regarding the sand, said he’s happy with the sand, as long as it’s removed and replaced with fresh sand. 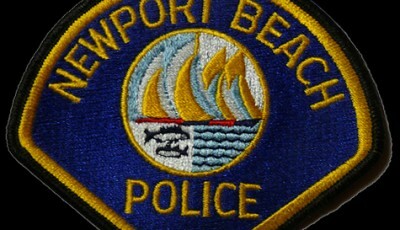 The focus of residents’ concern was the sand around the the play equipment at Newport Island Park. While most people infected with the parasite have no symptoms at all, some of the more severe cases can cause serious health problems. Most people don’t know how potentially dangerous it could be, Miller said. “This is the tip of the iceberg, with this parasite,” Miller added. Replacing the old sand with fresh, clean sand will get rid of any potential parasites, Miller noted. They essentially “got what we wanted,” Miller said. Which park design is chosen doesn’t really matter, “as long as the problem was solved,” he added. 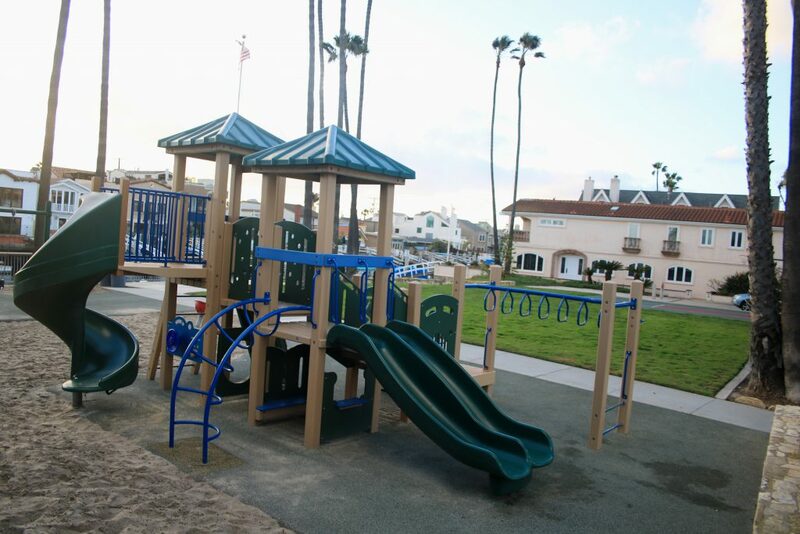 “We got what we wanted… a sanitary and safe place for the kids to play,” Miller said. He’s confident that it will be maintained better in the future, Miller added. Local resident Mark Markos at first supported mat because how dirty some residents noticed the sand was in the past, but after a little persuading by his kids and hearing that the sand will be replaced and regularly cleaned, he opted for the sand. The cleaning schedule and the new sand are really going to make a difference, Markos added. They’ve been discussing the issue in their house for the past month, Markos said, and his kids wanted their voice heard, so they spoke up during public comment at the PB&R meeting on Tuesday. 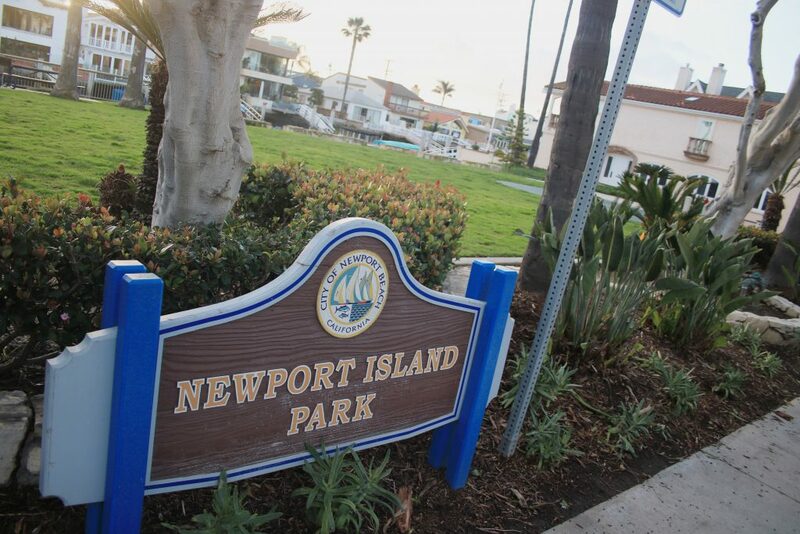 A concept plan was approved this week for renovations at Newport Island Park. Milan, 8, and Mianna, 5, said they like to jump off the swings onto sand. The sand around playground equipment is better, they agreed. The Markos kids also pointed out that the mat can get too hot to play on. Their comments boiled down to making the playground safe and fun, their proud dad explained. The kids’ speech had an impact, he added. “I think it helped the case for sand,” Markos said. Longtime resident Larry Leifer is also pleased to see the renovations approved, although it wasn’t exactly what he had originally hoped for. Although he is a “little disappointed,” Leifer continued, he thought more people wanted the mat. There are other sand areas in the park, including next to the water, where kids can play, he pointed out. Overall, Leifer is happy with the outcome. “Our park was not given any attention for a long time,” Leifer noted. Several residents noted their appreciation for the attention their neighborhood park is getting. Markos noted that Miller, the Island HOA president, was really the mechanism behind working with the city and getting the funds for the renovations. He did a lot of work to represent the island, Markos said.